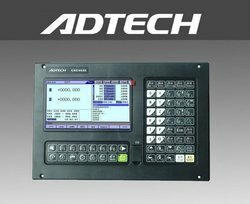 Providing you the best range of 2 axis cnc controller, cnc controller for plasma cutting machine, adtech cnc controller for lathe machine, adtech cnc controller for milling machine, adtech cnc 4620 controller and adtech hc4500 cnc plasma controller with effective & timely delivery. We have complete allegiance in manufacturing, exporting and supplying wide assortment of CNC Controller for Plasma Cutting Machine. Our offered products are highly demanded in the market owing to use of advanced controller technology and long functional life. These products are designed by our skilled professionals by keeping in mind latest industrial norms. Our offered products have extensive use in industries for plasma cutting operation, thus enabling us to cater vast clientele base. 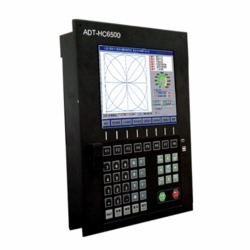 In tune with latest market developments, we are engaged in manufacturing, exporting and supplying multiple array of CNC Controller for Lathe Machine. These products owing to their compact design and effective control operations aspects are widely accepted among our clients. We utilize advance techniques and premium quality materials for their production as per latest industrial standards. Available with us in various designs, we offer these products at market competitive rates. We have installed more than 100 systems. It is user friendly in real meaning. Real-time multi-task control technology and hardware interpolation technology. paying jobs at low cost. Knowledge of G-codes not necessary. Customized software: strong it can apply for Plasma, Punch and engraving function within one machine, simple laser cutting etc. 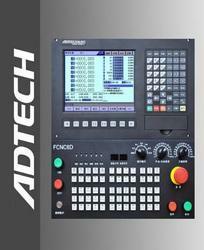 We are offering a wide range of CNC Controller for Milling Machine. These controller has double core processor and SD card which has big memory capacity. •Capable of reading USB disk,which can be simulated as electronic hard drive to read, edit, and process the data it is convenient to use. Owing to our wide proficiency in this field, we are involved in manufacturing, exporting and supplying wide gamut of CNC Control System for Bangle Engraving Machine. Due to their fast calculating speed and flexibility in speed control, these products are used in bangle engraving machines. Our offered products are manufactured and quality tested by diligent experts as per latest industrial norms. For meeting clients' varied requirements, we offer these products in various specifications. Reverse clearance compensation, tool length compensation, tool radius compensation. Capable of reading USB disk, which can be simulated as electronic hard drive to read, edit, and process the data it is convenient to use. We have complete allegiance in manufacturing, exporting and supplying wide assortment of CNC Controller for pipe Cutting Machine. Our offered products are highly demanded in the market owing to use of advanced controller technology and long functional life. These products are designed by our skilled professionals by keeping in mind latest industrial norms. Our offered products have extensive use in industries for plasma cutting operation, thus enabling us to cater vast clientele base. 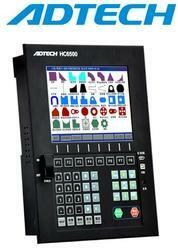 We are offering a wide range of CNC Controller for Spray Machine. These controller has double core processor and SD card which has big memory capacity. 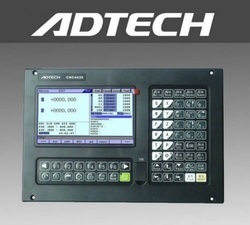 We are offering a wide range of CNC Controller for Key Machine. These controller has double core processor and SD card which has big memory capacity. 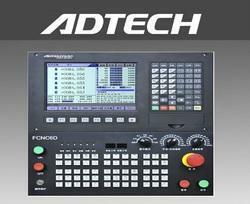 We are offering a wide range of CNC Controller for Led Cutting Machine. These controller has double core processor and SD card which has big memory capacity. 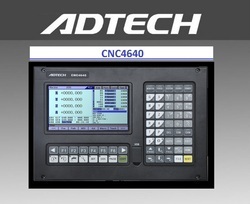 We are offering a wide range of CNC Controller for PCB Design. These controller has double core processor and SD card which has big memory capacity. 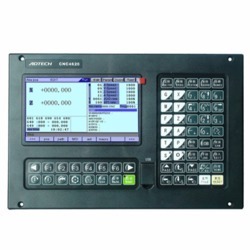 We are offering a wide range of CNC Controller for PCB Drilling. These controller has double core processor and SD card which has big memory capacity. We are offering a wide range of CNC Controller for PCB Mounting Machine. These controller has double core processor and SD card which has big memory capacity. We are offering a wide range of CNC Controller for Powder Filling Machine. These controller has double core processor and SD card which has big memory capacity. 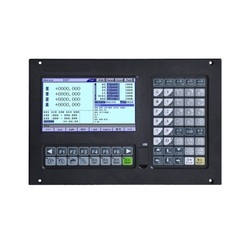 We are offering a wide range of CNC Controller for Solar Plate Making Machine. These controller has double core processor and SD card which has big memory capacity. We are offering a wide range of CNC Controller for Stone Engraving Machine. These controller has double core processor and SD card which has big memory capacity. We are a leading manufacturer and supplier of CNC Controller for Plasma Cutting Machine.This machine is high-speed and rigid gantry type machine designed for high production of Oxy fuel and plasma cutting process. 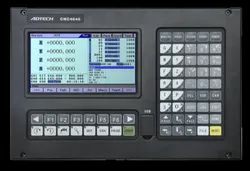 We are offering a wide range of CNC Controller for Robotics. These controller has double core processor and SD card which has big memory capacity. Dedicated controller for pick and place robot. 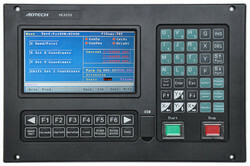 We are offering a wide range of CNC Controller for Wood Processing Machine. These controller has double core processor and SD card which has big memory capacity. High accuracy for cutting wood, plastic and metal less than 1mm.